Twitter’s recent focus on improving its advertising platform has led to the introduction of more targeted ad placements that better reach customers. These improvements were primarily made to meet the needs of small businesses and help them reach consumers in the most effective ways. Twitter also needed to stay competitive with rival Facebook, which has had great success with its evolution into an advertising platform. Since Twitter’s tweaks to its platform are relatively new, SmallBizTechnology.com outlined the top eight upgrades to help small business owners get in tune with Twitter advertising. 1. Twitter Advertising is Straightforward – Twitter’s new self-service model puts business owners in complete control of the timing and selection of the ads being posted. Campaigns can be deployed immediately from a PC or mobile device, and owners have instant access to analytics so ads can be tweaked and optimized at a moment’s notice. 2. The Service is Tried-And-Tested – Last year, Twitter debuted its new advertising platform to a select group of businesses in order to test its functionality and correct any problems. These businesses have reported many success stories and supplied continual feedback to help Twitter fine-tune the service to suit today’s business needs. 3. Specific Followers Can Be Targeted – With Twitter’s enhanced platform, businesses can directly target users who follow certain usernames. This greatly increases ad relevance and results by having ads deployed to audiences that are already interested in usernames related to the company’s products and services. 4. Consumer Categories Can Be Targeted – Advertisers can now choose from hundreds of categories, targeting users specifically by the interests they’ve communicated. This narrows ad reach to those who are most likely to take action on them, helping to maximize each advertising dollar. 5. 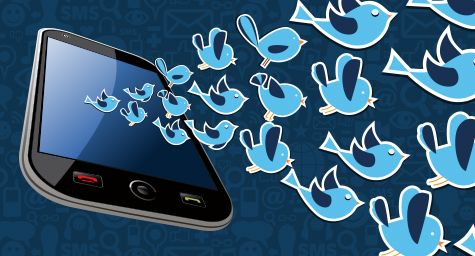 Digital Devices Can Be Targeted – Since some products and services are designed for certain digital devices, Twitter lets advertisers target only the users of specific mobile devices. This ensures that the ads are relevant to the technological needs of audiences, which increases their appeal and effectiveness. 6. Gender Groups Can Be Targeted – Certain products are meant for men while others appeal to women. Twitter allows advertisers to target just one gender or both. 7. Campaigns Can Be Controlled – Twitter’s advanced interface has been greatly improved to let advertisers easily control and optimize multiple campaigns. As a result, marketers can launch several campaigns simultaneously and track their performance easily. 8. Analytics Allow for Adjustments – Twitter’s advanced analytics let advertisers continually tweak their campaigns in response to their progress and problems. This ongoing optimization can maximize a campaign’s performance and increases its overall effectiveness. Fortunately, one feature that’s remained is Twitter’s affordable pricing structure, which lets businesses deploy ad campaigns for a very reasonable rate. This great efficiency, combined with greater effectiveness, can make Twitter a top choice for advertisers. Increase the performance of your social media campaigns. Contact MDG Advertising today at 561-338-7797 or visit mdgadvertising.com.